Over the past couple of weeks I have had the pleasure of speaking to Leata-Mae D’Avoine, a birth worker, doula, and mother to one about her experiences of motherhood. I’ve loved following Leata-Mae for a while, she has an incredibly open and honest approach to sharing her motherhood, and is a huge advocate for birthing women’s rights. 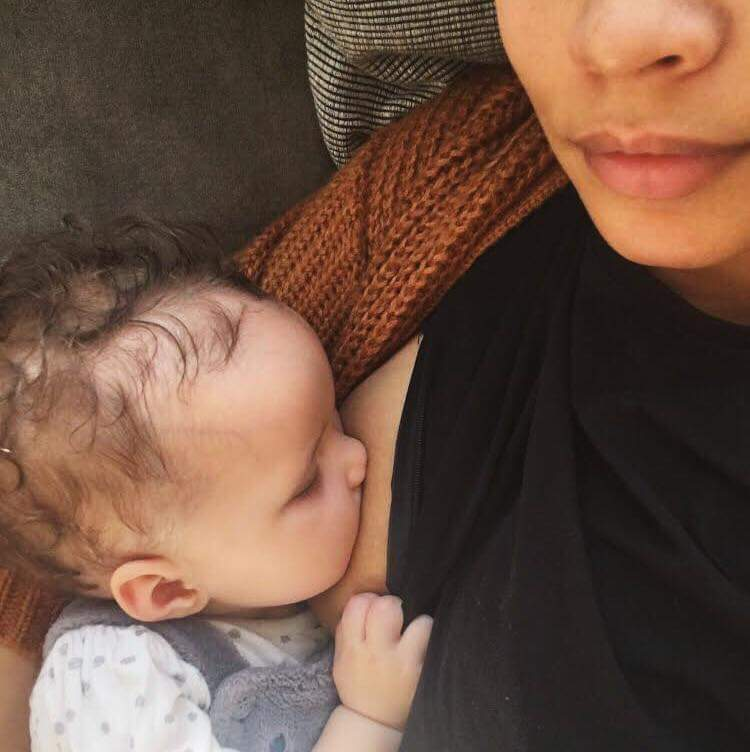 Read on to find out more about her path to becoming a doula, her mindful approach to the simple things in life, and some important words on being a birthing mother of colour in the UK. Sure! My name is Leata-Mae and I’m a birth worker & holistic wellbeing facilitator specialising in womb wellness. My work is focused on advocating for reproductive justice as well as encouraging others to stay informed about their health as best they can. I’m based in south London where I was born and bred, although I did live in the north of the UK - Durham - for a chunk of my teenage years, so I kind of have two homes! I’m a herb loving, summer craving, pasta junkie who is also a wife as well as a mama to my little one, Iah, who is not far off her first birthday. How did you become a mother? My journey to motherhood didn’t start off as I thought it would - It’s definitely been a rollercoaster of emotions. My husband and I first started trying to conceive in 2015 and for a year we were unsuccessful. I then got pregnant in 2016 but suffered a loss within the first trimester before getting pregnant again a few months later. Pregnancy after loss is a tricky thing. 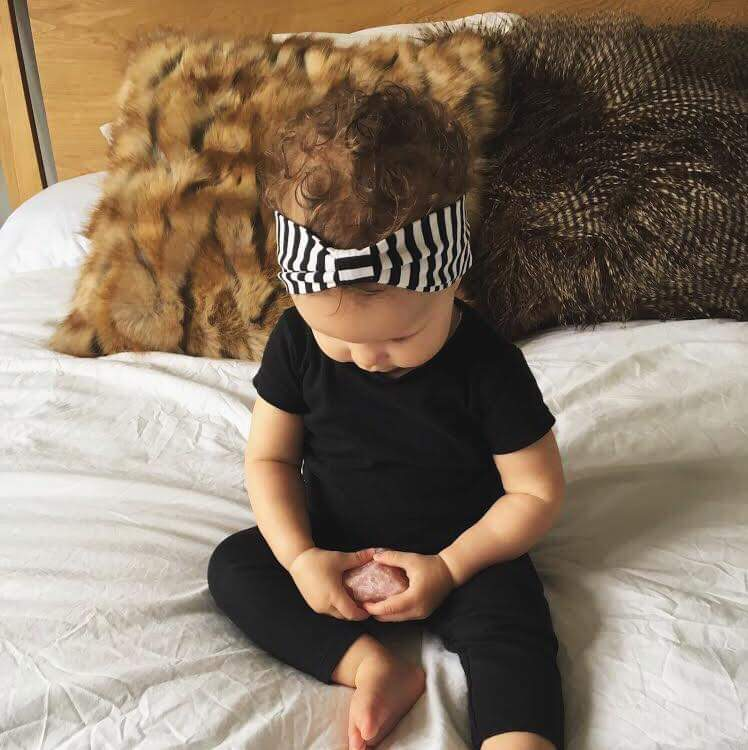 I felt robbed of having a totally peaceful pregnancy even though I was considered low risk and there were no complications - the anxiety I had would at times feel crippling and I was constantly worried I would lose this baby too. It was something I had to work through every day and a big part of helping was to take ‘pause’ moments. I would take deep breaths and connect with my baby, tap into the trust I had with my body and try to remain present. I already had a lot of information on how to prepare for labour and birth physically and emotionally and that really helped to make me feel in charge and empowered which I think ultimately helped me to have the positive birth experience that I had. I really had no fear surrounding birth. I had seen it happen multiple times, I knew the many ways it could go but I didn’t let the unknown effect me. Instead I chose to focus on the factors I had control over such as my birthing environment, comfort measures and boundary guidelines.I was committed to having a home birth with midwives, and with as little intervention as possible. I had a birth plan that was honoured as well as ‘back up’ plans should there be a situation where we had to transfer from home to hospital but fortunately that didn’t happen. I gave birth to Iah in our home after 4.5hours of unmediated labour and it’s the most amazing thing I’ve ever done! And you are a doula, and you were one before giving birth too. How do you feel that affected your experience? I think being a doula really helped when it came to feeling empowered because I was already so informed. It was almost like I had less questions so I therefore felt more confident. I didn’t have any queries or worries about birth, about how it was going to be or what I was going to feel. I was able to put more focus into my emotional support and just really be present rather than spending a lot of time thinking about the impending birth which I think a lot of first time birthing parents naturally do. Having the experience of being a doula definitely made me feel more relaxed. I was really looking forward to finally being able to go through what I’d witnessed so many families experience! I don’t think you need to have gone through birth yourself to be a great doula, but I know my journey has definitely given me a deeper understanding that will help me to empathise and support in a way I couldn’t before. And what led you on that path? I have always been fascinated by birth and the power of a pregnant body but I first came to know what a doula actually is when I was moved to New York back in 2015. I was just starting to become more informed and aware of my own fertility choices and there just seemed to be signs that doula work was something I should look into - It was almost like it was something that I was looking for without even realising. The more I learnt about a Doula’s role the more I knew this was something that I needed to pursue, it’s my calling. I first trained with DONA International but felt like there was a lack of full spectrum awareness and cultural competency so I set out to look for a training course that was providing what I thought was missing and that’s when I found Ancient Song Doula Services in Brooklyn. I worked for the founder Chanel alongside other seasoned doulas and got to see how crucial birth work is. It’s from working there that I feel I truly became a doula. Supporting women is a passion we share, and something that comes up frequently on your Instagram stories. Why do you feel it’s important to support mothers, particularly when they are women of colour? I feel like Mother’s are the pillars of society! They are the ones growing and nurturing the next generation and most of this tireless work is done with little to no gratitude or compassion from others. Motherhood can look different to everyone. There are so many stories to tell but there are also similar experiences among us that when told and supported, can make the journey feel a little less lonely at times. That sharing and empathy can sometimes make a difference, especially when it comes to maternal health. Statistically in the UK, Asian and Black mother’s are more likely to die around childbirth and have a higher rate of postpartum mental health problems than white women. They just aren’t offered the same care, so when we don’t support women of colour, particularly black women, the worst can and is happening. That is why full spectrum, holistic support is so necessary. Most of what we see on the popular Instagram accounts or within media, generally show the experience of middle class white motherhood and it’s important to shift that narrative and show the diverse intersections of parenthood. That way, maybe we can start to encourage awareness, change systems and give support to those who can relate. If you could bestow a wish on all mothers, what would that be? I would wish that all mothers had the support that they desired, whatever or however that looks like to them. And that it was limitless! What advice would you give to mothers, expecting, new and those in the thick of it? That’s kind of a tough one! I think there’s almost too much advice out there, all these opinions to wade through and everyone is so different... So I guess my advice would be no advice - just to mother intuitively. Above anyone else, listen to your gut. No one knows your baby better than you, so do whatever you feel works best for the both of you and I guarantee it’ll lead you down the right path. You share such an honest and beautiful portrayal of motherhood through your instagram, your postpartum realness series was just wonderful. What drives you to do so? I think a combination of wanting others to know that they aren’t alone, as well as a place for me to release and ponder my reflections in real time. Social media is a lot of things. It’s tricky and can have real disadvantages but In me sharing my journey and being open, I’ve found a community and I think there’s something really beautiful in that. What in this motherhood journey have you found unexpected or difficult, and what has empowered you? Ah so much! Whenever someone asks me how I’m finding motherhood, I always say “it’s like feeling every emotion all at once” because it really is! It can be tough at times. You have these moments when you just want to cry from seriously needing a break but you’re too exhausted. But there are also moments that are filled with such joy and happiness you feel like your heart might burst. I think the most difficult part has been learning to be present and working on what it truly means to be patient! Seeing Iah thrive and develop into her amazing personality is what keeps me going though. It’s easy to be hard on yourself but I just keep trying to remind myself that I’m doing the best I can and as long as she feels safe and loved, then that’s all that matters. Where do you find the magic in motherhood? I think I find pockets of magic in just those simple everyday moments. Whether it’s when I’m breastfeeding or comforting or just making her laugh. Moments where we are connecting and maybe she does something new or shows true joy and wonder and I get to witness it up close. Motherhood can be many things, hectic, overwhelming, even sometimes a little boring but it’s the best experience. And lastly, how do you create moments for mindfulness in your day? If I can, I try and find the time to really be present even with just the most simple things. If I’m eating I try to remember to chew more and slowly, feeling the energy of it. When drinking water I try to feel each sip flow through my body and nourish me. If Iah looks at me and smiles I really take it in and feel all the beautiful emotions that come with that. So although I might not be able to designate time in my days to create specific mindful moments, I try to remember to be mindful in everything I do whenever I can. You can find Leata-Mae on instagram, @leatamae.